Now through Nov 30, 2017, save an additional 15% on the Amprobe IRC-110 Infrared Camera with 5 blending modes. Discount applies at checkout. 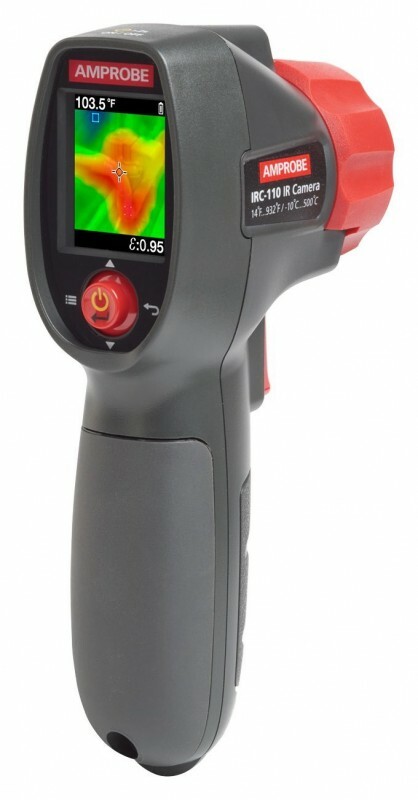 The Amprobe IRC-110 thermal camera is rugged with point-and-shoot functionality to give you a visual heat map combined with a sharp photographic image for quick and accurate identification of temperature related issues. Troubleshoot electrical connections, motors, HVAC and electrical, and insulation leaks around buildings to identify potential energy savings.